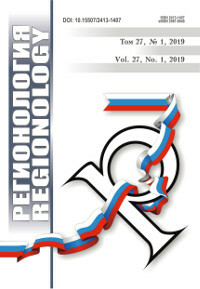 Regionology is a peer-reviewed scholarly journal, published since October 1992. Full official name of the journal: Russian Journal of Regional Studies. The main content of the Journal are original scientific papers devoted to topical issues of regional policies, economy and sociology, as well as to analysis of the integrated development of the regions of the Russian Federation and other countries. The Journal conducts double-blind peer review of all papers submitted to the Editorial Office for expert evaluation. All reviewers are acknowledged experts in the relevant fields of expertise. The reviews are kept in the publishing house and the Editorial Office for 5 years. The Editorial Office forwards copies of reviews to the authors of the papers and to the Ministry of Science and Higher Education of the Russian Federation if requested. The Journal is included in the List of the peer-reviewed scientific publications where the main scientific results of Ph. D. and doctoral theses (by applicants for Candidate of Sciences and Doctor of Sciences degrees) in scientific specialties and their respective branches of science should be published. 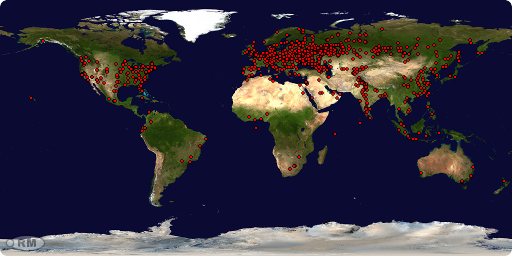 All the materials of the "REGIONOLOGY" journal are available under Creative Commons «Attribution» 4.0 license. The journal is a member of OASPA, CrossRef, DOAJ, Translator Code of Ethics﻿ and Association of Scientific Editors and Publishers. IPR BOOKS electronic library system. The Journal is registered with the Federal Service for Supervision of Communications, Information Technology, and Mass Media (Roskomnadzor) (Mass media registration certificate: PI No. FS77-65932 of 6 June 2016). Editorial Office of Regionology journal. National Research Mordovia State University. +7 8342 328157 – Sergey V. Polutin, Deputy Editor-in-Chief, Professor, Department of Sociology, National Research Mordovia State University, Dr. Sci. (Sociology). +7 8342 481424 – Svetlana V. Gordina, Executive Editor, Ph. D. (Pedagogy). The languages of publication are Russian and English. The subscription to the Journal is accepted in post offices according to the catalogue of Rospechat Agency. The subscription index of the Journal is 73335. The Editorial Office does not provide any paid or agency services. Editorial Board does not work with intermediaries. Articles are accepted only from their authors. Publications are free of charge. Accelerated publication is not available. The Editorial Office shall not consider manuscripts submitted simultaneously to other publications, as well as papers that for the most part have already been published somewhere in the form of an article or part of another work. Should this fact be established, the Editorial Office shall retract (recall) such an article.